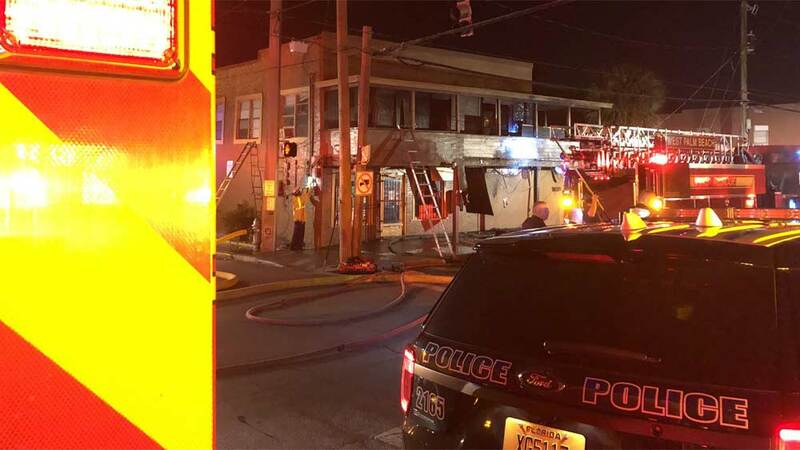 WEST PALM BEACH, Fla. — A building that houses a business and apartments caught fire early Monday morning in the north end of West Palm Beach. West Palm Beach Battalion Chief Danny Collazo said they received a call at 3:34 a.m. regarding a fire at the southeast corner of Palm Beach Lakes Boulevard and Sapodilla Avenue. The building has a business on the bottom and eight apartment units on the second floor. When they arrived, Collazo said flames were coming from a second-floor window, top porch and lower porch. Fire Rescue crews said they were able to extinguish the flames in about 10 minutes, and everyone escaped unharmed. Collazo said most of the damage to the building is to the outside, so many of units should be habitable.